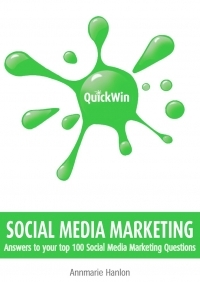 QUICK WIN SOCIAL MEDIA MARKETING is aimed at busy marketing professionals with a traditional background, needing to gain a quick overview into social media for their business. It’s also a useful primer for those starting their marketing journey with many practical tools, useful resources and templates that can be adapted. It contains the answers to the most frequently asked questions about social media – with sensible tips on how to adapt your business. Practical and to the point. Useful with constructive application for business. Contain valuable links to third party tools. Social Media Marketing Essentials sets the scene and explains how social media is used. This gives you the context, showing the move from traditional to social media marketing as well as explaining what’s needed to get started. Social Media Marketing Techniques shares the elements needed to improve social media in your business. It demonstrates action you can take and share with your team. Generating Sales describes the different ways that social media can deliver sales, both free and paid-for. Measuring, Monitoring & Managing brings it all together and highlights strategic issues many managers overlook.